Pastor Carlos was called to lead Atlantic Baptist Church 2008 after serving as a Missionary for Gulfstream Baptist Association. Pastor Carlos also lead the Filipino American Christian Church and planted two Hispanic Churches in Broward County. He was born in Ponce, Puerto Rico and has resided in South Florida since 1980. He attended World University and the Caribbean Baptist Seminary. Patrick received a Bachelor’s Degree in Theology from Liberty University. He was ordained in 2006. He has been in Youth Ministry for over 20 years. Patrick also volunteers with First Priority where he currently serves as a Campus Coach for Dave Thomas Education Center West Campus. 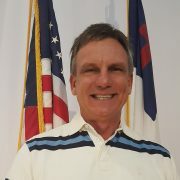 Patrick is also active with Broward Right to Life and Mission Broward. 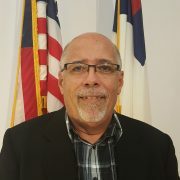 Chris joined Atlantic Baptist Church in August of 1984. 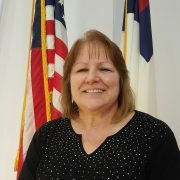 In 1990, she joined the staff at Atlantic Baptist Church as the Office Administrator. Chris has lived in South Florida since 1970 and graduated from Coconut Creek High School. Chris has also taught children in Sunday School for many years. 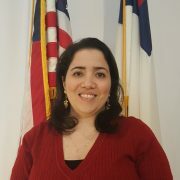 Luciane joined Atlantic Baptist Church as the Worship Minister in January 2015. She has been actively involved in the Music Ministry for over 20 years, serving several churches in Brazil and in South Florida. She attended the North Theological Baptist Seminary in Recife, Brazil. She is passionate about serving Christ in leading people to experience Him through Worship. She was born in Rio de Janeiro, Brazil. And in 1999 she made South Florida her home.